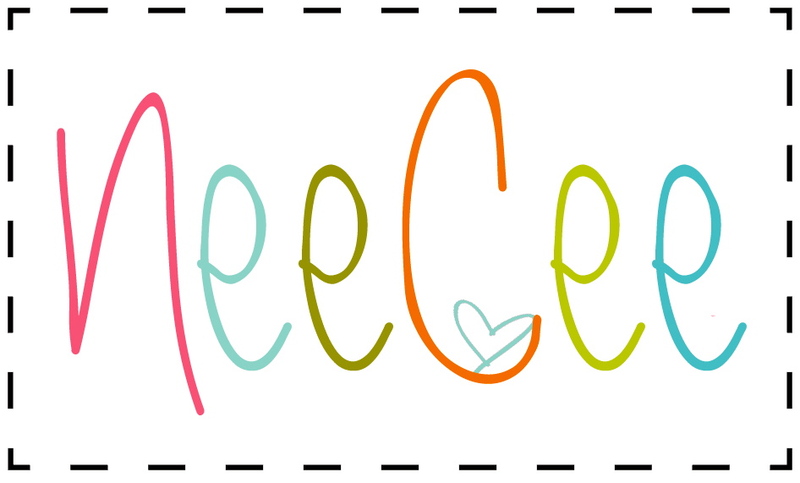 And I wanted something Simple, DO-ABLE & USEABLE! JUST a paper gift bag...Shoot, anyone can do that! So naturally...a Wine bag popped into my head.....BUT I needed a much larger size to included everything. Especially the large loaf of bread! So, I cut out a much larger version of a wine bag from some heavy weight muslin and burlap, (the burlap was slightly smaller in width, but slightly longer than the main/muslin pattern). Then I started sewing. 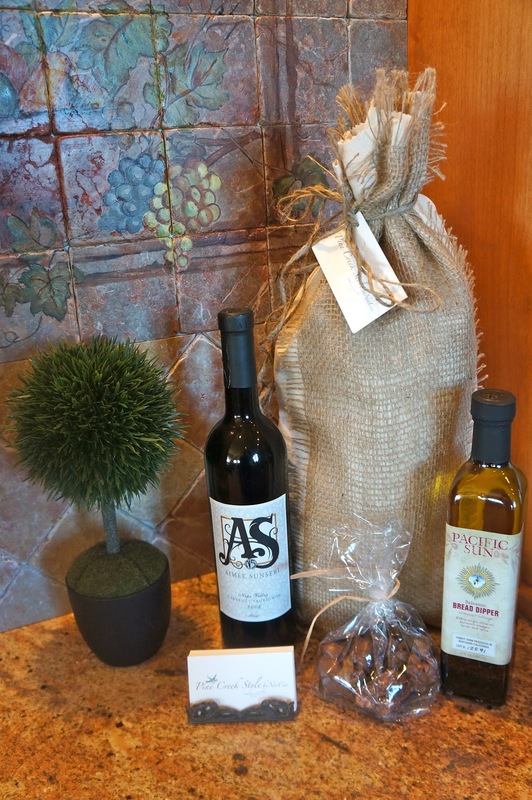 I placed the burlap over the top of the muslin , making them into a large wine bag style gift bags. I added twine, (to close the tops), by sewing the twine into the seams. Included in the bags were; Red Wine, Bread Dipping Oil, a small package of chocolate candies and a loaf of freshly baked french bread. Then I hole punched my business card and attached with the twine. 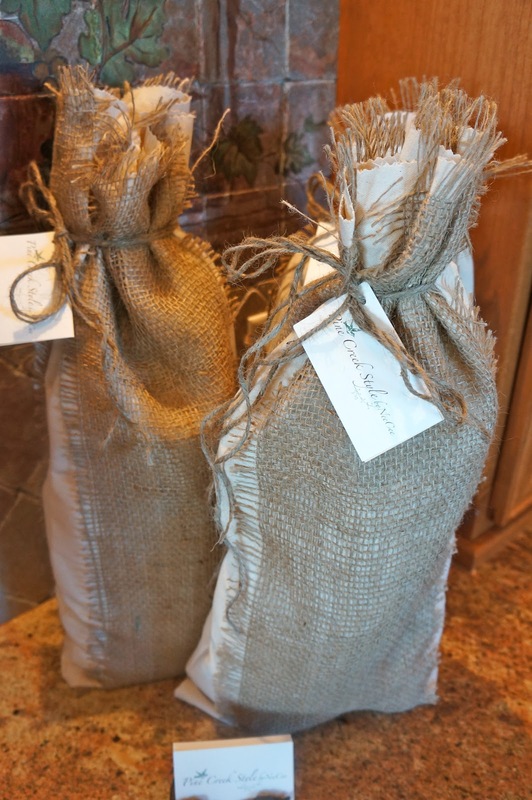 The bags were very simple to make, I frayed the edges of the burlap, leaving them longer on the top. A Very Simple, yet a thoughtful gift with some personal touches! These were so simple and didn't take very long to make.